Update 8/2/17 15 boot lids are in stock. PMs inbound to the first 15 on the list. In mid July 40 CSL Boot Lids will get into stock at BMW's main warehouse. Out of the 40, we have 10 reserved. The rest is reserved for other customers. Because I have a growing list of 40+ people wanting Bootlids, I will send invoices and payment instructions for the first 10 on that list, once we receive them. Then I will just start shipping these in waves of 10 or more as they become available. Hopefully, after this initial hurdle, this will allow the Trunk GB to proceed with a more rapid and frequent turn around time compared to the current situation. By the number of responses after making this thread LIVE, it appears that all available inventory has been spoken for. It can't hurt to e-mail a request, in the event that someone backs out at the last minute, prior to paying. At worst case, you will be on a wait list and those numbers will help me gain insight on how much demand for these still exists. If enough demand exists for another GB, I will organize a third GB when more inventory becomes available. The orders will be confirmed in the order that they were received until all 24 are sold. I opened this GB at noon EST, that puts Germany at 6pm. So expect at least one business day before you hear back, considering the time difference. Trust that they will be eager to follow up with each of you, considering the business that this GB has generated for them. back by popular demand, Round 2 (err now round 3) of the OE CSL Group-Buy! 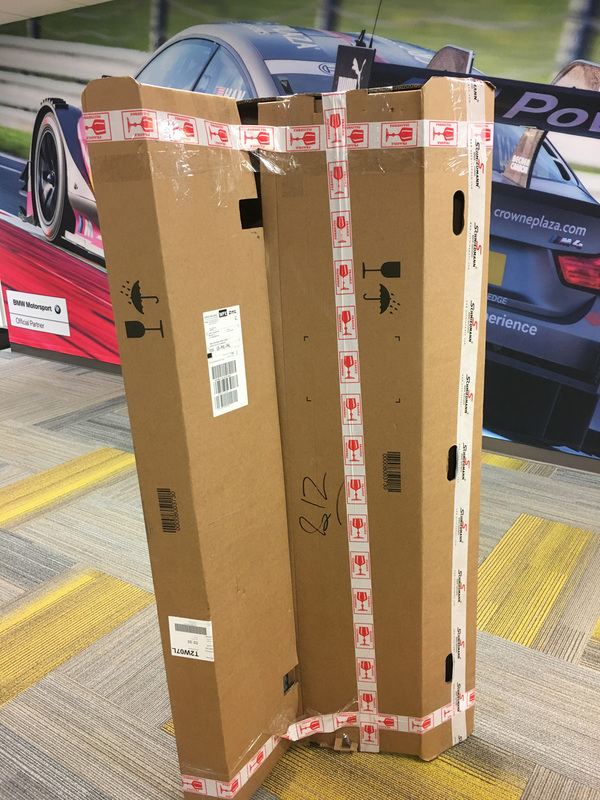 As many of you are aware, we sold out all of BMW Germany's inventory on OE CSL boot lids in under 17 hours, during the first GB. Due to supply limitations, we were only able to meet about half of the demand. I received many comments and messages asking for a second round, and I am happy to say that it is here! If you are reading this, you likely already know why this boot-lid is the best and what makes it so special. 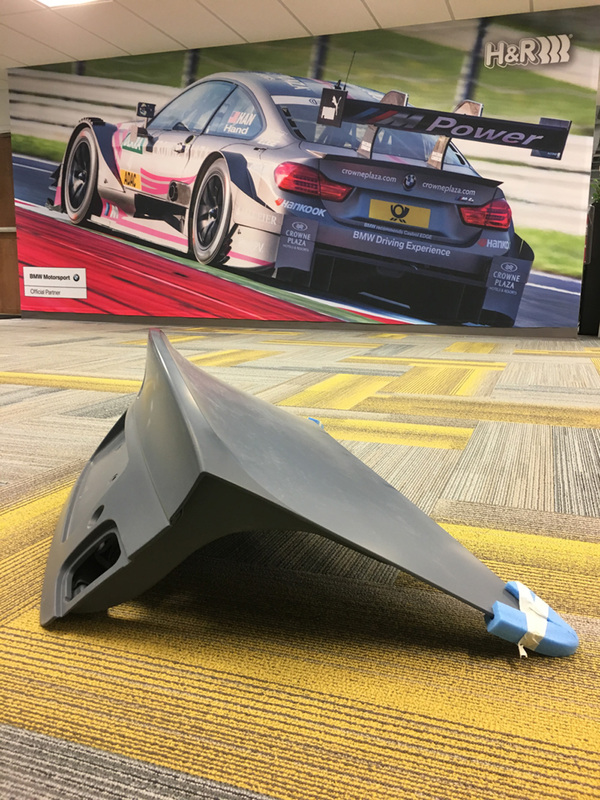 But, for the sake of 'circle-jerking' , this is for a 100% new and genuine OE BMW CSL Boot-Lid, which provides perfect factory fitment without compromising quality that is associated with replica pieces. Being that these Boot Lids and all accessory parts are genuine CSL pieces, they will be perfect for the purist, perfect for bragging rights and conversation pieces, should hold resale value better than any other alternative, and at the lowest pricing that can be found. Given that these authentic trunks are priced below the cost of "reputable" replicas, this opportunity is a no-brainer if you have wanted to enhance the appearance of your car with a CSL boot lid. These trunks, fresh off the production line, will be UNpainted and will come primed from the factory. Sweet, how much does this cost! ...and what about shipping!?? Due to domestic USA distributors complaining about my GBs, I will no longer publish GB pricing. Feel free to PM for pricing. I suspect this is why all the venders require a PM for pricing rather then publishing them in the OP. DHL - Air shipping. So turn around time will be fast! Buyers are responsible for paying 3.5% Import-Duty Fees prior to or at the time of delivery. This fee worked out to be $35 a few weeks ago during the last GB. I suspect this fee to be the same. *For those in the US that are receiving duty fees higher than approx. ~$36 dollars, I would recommend calling DHL and referencing this thread. Duty fees in the USA *should not be higher than approx. ~$36 as others have shown and contested in this thread. Do I need to sign and be present at the delivery address or can I leave special instructions so that my item is delivered while I am at work or away? No. You do not need to be present. Yes, you can leave special delivery instructions. I had mine delivered to my back porch, out-of-sight, while I was away. I did not need to be present to sign for it. Delivery instructions can be specified through DHL once you have your Waybill/Tracking number. 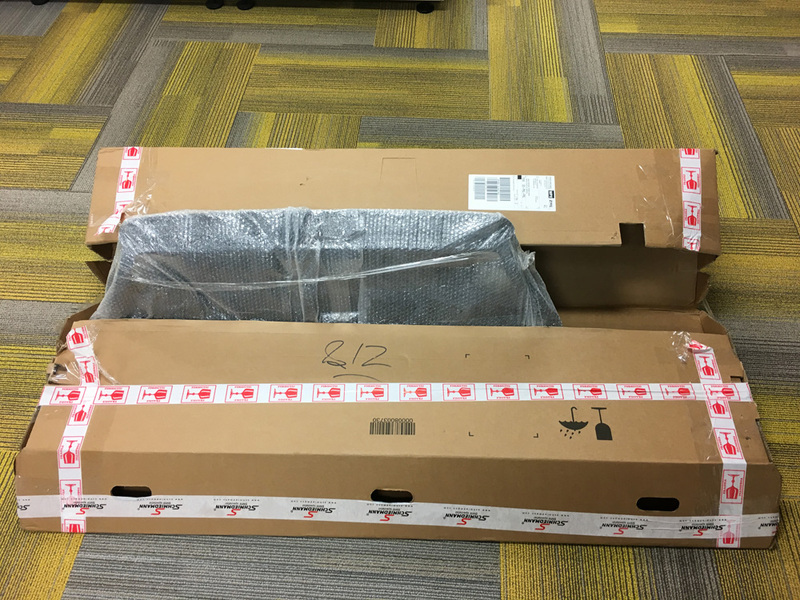 What if my item arrives damaged as a result of shipping or if there is a manufacturers defect with my particular boot-lid? Each item comes with shipping insurance via DHL. The overwhelming majority from the last GB had ZERO issues with any sort of shipping damage or manufacturer's defects. Mine personally, was delivered with very very minor cosmetic damage to the primer. The distributor was very easy to deal with and took care of it for me, with almost no work required of me on my part, and handled the issue extremely quickly. Rest assured, from my personal experience, If you have any issues, they will be taken care of. Great, What else will I need? Courtesy of the CSL-Expert: DaytonaViolet - Please correct me if I am wrong, and I will edit this section! As for transferable, all the internals for the oem trunk (shocks, key cylinder and grommet, latches, catches, reverse lights, tool kit, roundel are all transferred over to the csl trunk. only thing you can't transfer is the trunk release button/handle and license plate lights (different shape) . yes, you'll need all these parts from post #1, except for the thread insert for tool box. i believe you can recycle the one from your oem. - 63267165646BMW - OE CSL License Plate Lamp (x2) (bulb type) - You can also use the LED type from e90! - 61131378149BMW - Plug Terminal Black (x2) - *Wasn't offered in the first GB, due to needing to buy a large volume. Here is a list i used for my oem csl bootlid. Some items I didn't see in post #1 but are needed. Can I add all the extra little bits and pieces (above) to my order so everything arrives in one nice all-inclusive package? We have made a special part number for an all inclusive kit, specifically for this Group-Buy. NOTE: *This kit assumes that you will be reusing the emblems on your existing non-CSL trunk. If you want new emblems, those can be ordered as well! When you submit your ordering request E-mail, please indicate which of these options you would like, if you want to include them in your order, by referring to the 3 designated part numbers that I included above! Great, all this information...Just tell me how to order all ready, time is ticking and I don't want to miss out like last time. TAKE MY MONEY, DAMMIT!! To avoid the unforeseen issue we ran into last time, where we both opened the GB and sold out, within a matter of hours - leaving most of you unaware that the GB had not only already began, but was already over, I am posting this thread today (1/1/17) as an announcement and to bring to your attention that this GB IS happening so that you have adequate time to prepare. One week from today, I will edit this post and I will include the directions on how to request your order and how to send payment. A total of 24 OE CSL Boot-Lids will be available, and they will be distributed on a first-come, first-served basis, until all available inventory is spoken for. I will PM you ordering instructions and all of the details once your boot-lid is ready to ship (based on the interest list). Orders are filled in the order that they are received. You will have 5 days to respond. After five days of no response, I will move your name to the bottom of the list and your allocation will be offered to the next guy in line. Any additions, announcements, or edits will be dated and posted at the top of this thread, in the event that this turns into a 50+ page thread like the last, so that you wont have to comb through the pages to find the important information that you may need. Last edited by Dr M3an M3; Wed, Aug-02-2017 at 07:08:56 PM. Why did I click into this thread?!!! Thanks for organizing this! I'm in for one. Just to clarify, once the countdown expires, you will provide an e-mail address where we need to send our request? Correct. Due to the limited volume of inventory, this gives everyone an opportunity to be aware of when things will open up. This was decided on based on the feedback I received on the last GB. We sold out so fast during the first group buy (hours after randomly deciding to make the GB live) that it was over before most people were even aware it had begun, leaving quite a lot of people unhappy. I anticipated orders to trickle slowly in over the course of a week for the first one, and thus did not foresee that dilemma coming up. Never would I have imagined we would sell out all of BMW Germany's supply within hours of opening up. So this time, I wanted to make sure people had adequate time to be ready. All times are GMT. The time now is 12:00:14 PM.